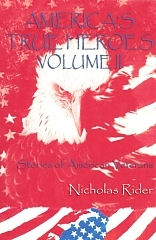 In America’s True Heroes; Volume II, 16-year-old Nicholas Rider continues his collection of personal accounts of war told by American veterans. It captures the courage and commitment of over one hundred veterans from various services, and includes stories from WWI to Iraq. 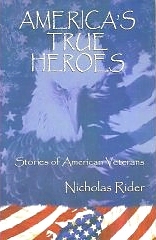 Examples of valor are displayed over and over on the pages of this book. A wounded soldier’s agonizing crawl back to friendly lines after the medics who come to him are shot down by a German soldier. The terror felt by a B-17 crew, when they see another plane coming at them, head on, out of the clouds. The anguish felt by a Vietnam soldier as he is wounded on his final mission before shipping home. The elation and surprise felt by two brothers who were reunited while both being held captive in a German POW camp. The satisfaction and pride after a victory and a job well done and many, many more experiences are recorded in this book. These unforgettable stories will leave you with an overwhelming sense of pride and gratitude for what our American veterans have accomplished and sacrificed for our great country. These brave men and women deserve a sincere “Thank you” from each and every one of us who enjoy a free America. 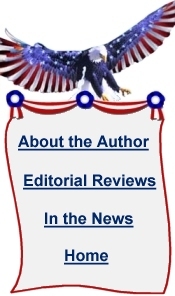 On the pages of this book you will be introduced to Army, Navy, Air Force, Marine, Coast Guard, and Merchant Marine veterans who served in peacetime and during conflicts; from WWI to present day Iraq. You will be inspired by their bravery, commitment to duty, and love for their country. 50+ photos.